This young girl was not even expected to breathe normally, speak much less because of a birth defect. But now, the 19-year-old Amber Simone Chinn is a powerful singer, and a video of her performance has gone viral. Amber Simone Chinn was born with craniosynostosis, a defect, in which the joints between the skull bones close prematurely, which led to a procedure at the age of 6 months, from which she was not expected to fully recover. She would never talk, but she beat the odds, her recovery a miracle. Said, Chinn’s parents. 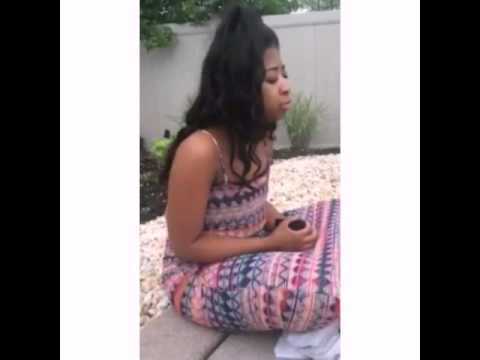 At a friend’s graduation party earlier this month, Amber Simone Chinn was caught on camera singing by the pool. The video of her performing ‘The Worst,’ by Jhene Akio, was uploaded to Facebook, which went viral, and has received over 2 million views. On her GoFundMe page to create a music label, Chinn cited her performance of ‘The Worst’ as a music video about women empowerment. It’s hard to grasp. I have confidence, but I never thought my random video would be so viral. Said, Amber Simone Chinn. Now, Amber Simone Chinn is a student at SUNY Buffalo State and is working with local music producers on an original song.